She loves helping companies build their brands in the Vietnamese market, says business alumna Nga Bui (Natalie) who came to AUT as an international student from Vietnam and now works for Google Singapore. “I enjoy working with the brand managers and marketing managers to build their multinational brands in Vietnam. She constantly draws on the skills she gained at AUT, says Natalie who graduated at the end of 2017. She says her time in New Zealand was invaluable. 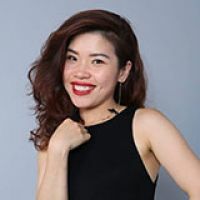 A successful marketer in her native Vietnam, Natalie enrolled in postgraduate study to sharpen her professional skills. Choosing to come to New Zealand for her studies was an easy decision, Natalie says.